As may be obvious from my previous post, I like comics. Of all the comics and comic strips that I've read over the years one of my favourites has been the Doctor Who comic strip published in the Doctor Who Magazine. The comic strip has been running for nearly 33 years, longer than the series originally ran on TV, and I thought that it might be fun to read back through those 33 years worth of comic strips in chronological (ie Doctor) order and share my thoughts on them. And so was born Comic Strip Time Team. Incidentally, for those who aren't aware, I borrowed the Time Team name from a regular article in DWM which involves a group of fans watching Doctor Who in order and commenting on it. 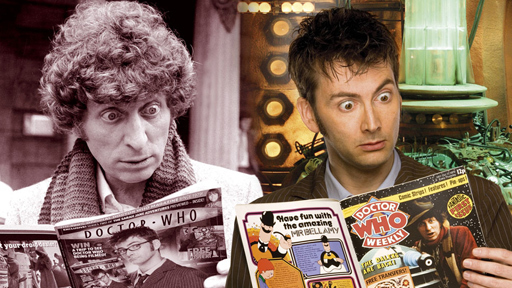 - When the Doctor Who Magazine (then known as Doctor Who Weekly) began in 1979, the comic strip focussed on the then-current Doctor - the Fourth. As the years went by and the Doctor regenerated the strip switched its focus to the new Doctor. So the Fifth, Sixth and Seventh Doctors all got their periods in the lime light during the 80s and early 90s. By the mid-90s, with the series off the air, the comic strip no longer focussed on just one Doctor but alternated between the first six Doctors. It was at this time that the first three Doctors made their comic strip debuts and so this is where my marathon begins. Confused? All will become clear as we go on. 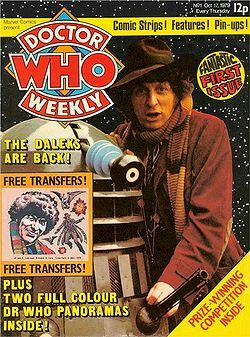 - The stips that I will be focussing on are those in Doctor Who Weekly/Monthly/Magazine from 1979 to the present as well as any strips I can find in the Specials, Yearbooks or Storybooks published during that time. I might, in time, include the IDW comics featuring the 10th and 11th Doctors but I'll make that decision nearer the time. - Like the BBC, I have a few gaps in my Doctor Who archieves - in particular from the early 90s. Hopefully most, if not all of the gaps will be filled by the time I get to them but, if not, well we may have to skip one or two stories. Number of times one of the regular characters is locked up. Number of times one of the regulars is rendered unconcious. Number of on-screen (or on-panel) deaths. Well that's it. Nothing to do now but get started. First up: 'Operation Proteus'.